I'm quite excited to welcome Sarah Brownlee to the blog today. 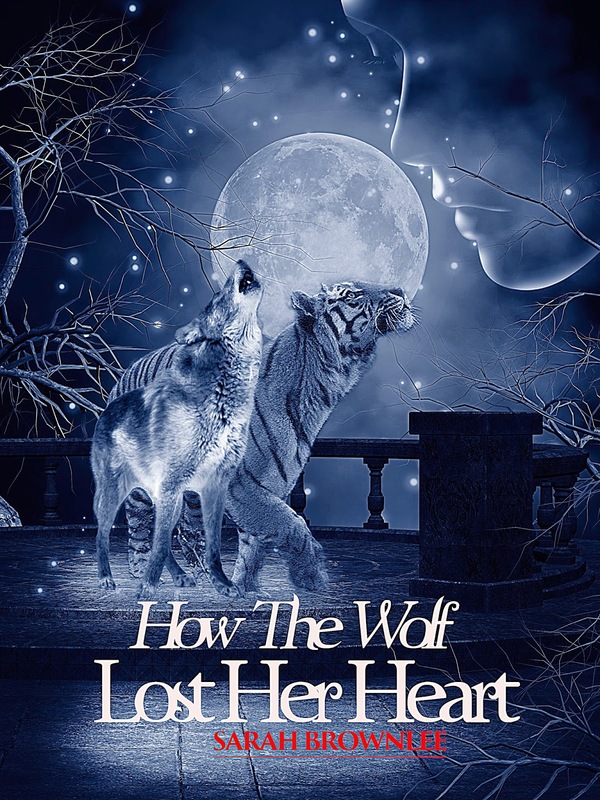 She is the author of How the Wolf Lost Her Heart, a YA paranormal romance set in dystopian London. 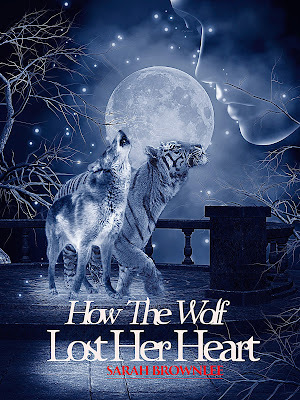 Sarah Brownlee is the author of YA Paranormal Romance ‘How the Wolf Lost Her Heart’. She wrote this story after time-warping herself into the future and witnessing the extraordinary events in London, England, that unfolded two centuries from now. Here, she explains the near-demise of a once highly-populated, flourishing city and interviews a young man she met by chance three days after her arrival. It is the year 2217. London has crumbled. What was once a thriving metropolis for tourists, business and leisure has become a playground for thugs and criminals. Law and order slowly disintegrated over the course of two centuries; there were reasons for this. The widespread epidemic that hit in 2101, the decline in social stability, the dreadful mess that politicians of the 21st century left us in … each one of these factors contributed to the city’s demise. But no one would have ever guessed it got as bad as it is now. We still function, of course. There are jobs. Education. Bars. The kids learn about what happened in school; they are supposed to learn from past mistakes, but it’s a bit strange learning about it when it doesn’t seem like there’s any solution to get out of it. There is still a government, but they have no real power. Instead, two families from either side of London pretty much rule the roost. In West London, there’s Lord Renzo and his family. I like this guy. He’s pretty much seen by the rest of us as a protector against the thugs. Notting Hill Meadows (once known as the famed Notting Hill; I used to go to the annual carnival there, but it’s abolished now) is his stronghold and in this area it’s relatively safe to walk around at night. He’s also got some very handsome sons! In East London resides Lord Pearson and his clan. I wouldn’t step foot here even if I was being chased by a hoard of rabid aliens. The Pearsons are the rulers of most thugs and criminals inside the city; their sole aim is to terrorize others. The Renzos and the Pearsons have been at loggerheads for as long as anyone can remember. Apparently, twelve years ago there were these devastating riots – the thugs rampaged throughout the city, killing thousands. It didn’t escalate into all-out war; but I heard that, ever since that day, there’s been a very shaky truce between the two families. I get the impression that a lot of people feel there’s a risk of civil war, but they are very evasive when it comes to talking about it. Not exactly the type of thing they like to discuss. Oh, I almost forgot to add – the media has been abolished! Now that was a shocking discovery. I’m still not entirely sure why this was; the reasons they gave for it don’t seem to add up, but, to be honest, it’s hard to extract this type of information from people. Aside from the appalling state of the city, the feuding families and the media termination, there’s one other significant difference – one that I found the most fascinating. There are Morphers. Now this is something I never would have imagined in a million years. Apparently, in 2012 (I was 25 at the time) a man called Professor Philopias Polgas conducted an experiment that 42 people took part in. I’d never heard of him myself – but I do remember hearing about an explosion in Covent Garden, and S.U.P (Studies for Unparalleled Phenomena) being mentioned, which is the company that Professor Polgas worked for. It was on BBC News. Nasty business. Anyway, this professor gave these people some kind of liquid, which gave them an incredible ability: the ability to transform into their spirit animal at will! Suddenly, there were ‘Morphers’ (as they became known later on) existing on Earth, people who could shape-shift from human to animal upon command. It was kept secret by the government at the time, but, as the years passed, these Morphers who had children then passed the “Morphing Gene” onto their own children – and their children’s children after that, though I hear it sometimes skips a few generations. So, to this day, there are still people who can turn into their spirit animals, scattered all over the world. An extraordinary evolution, if you ask me! And now, I’m very excited to introduce you to a Morpher that I met a few days ago. I met him while I was taking a stroll around the city (well, not so much a stroll. It’s always important to watch your back to make sure you don’t get attacked). I came to a sudden halt because on the other side of the street a girl was being harassed by a gang of thugs. Seconds later, this man with jet-black hair and almond green eyes came flying out of nowhere and rescued the girl. Heated words were said between the thugs and the man; I couldn’t hear what they were saying, but the thugs backed off. It was pretty impressive how this one guy managed to fend off an entire gang without lifting a finger. After the gang left, the guy and girl exchanged a few words before separating. Being nosy as I am, I was intrigued to find out what exactly he had said to get rid of them and, as the girl was walking in my direction, I excitedly approached her and asked if I could chat to her about what happened. But she just glared at me, before storming off. Not the most friendly person clearly – or maybe she was just shaken because she’d almost been attacked by thugs. That’s when I ran forwards to catch up with the man with jet-black hair and green eyes. He was much friendlier and said he would be happy to talk to me. He told me his name was Raphael Renzo. From what I had already heard from the Londoners, this was no doubt one of the famous Lord Renzo’s sons; I felt it would be fascinating to interview him. Raphael was very kind and gracious, happy to answer all my questions. So here it is – An Interview with Raphael Renzo! Me: Hi Raphael, thanks for agreeing to speak to me! So, I’m really curious to know, what happened back there? You and those thugs looked like you were about to kill each other. Then they backed off after you had a word with them – from what I hear, the thugs aren’t the type to surrender easily! How did that happen? Raphael: Hi Sarah, it’s my pleasure. Right, well, first of all, the leader of that gang is Finn Pearson – not sure if you’ve heard of him, but he’s the son of Lord Pearson who runs the majority of East London. Our families hate each other – Finn especially hates me. But there’s a pact between our families and we’re meant to stay out of each other’s way. That’s why it was easier than it should have been to get him to back off. Me: Ah, I see! So Finn’s not allowed to attack you, then? Raphael: Something like that. But I don’t think he would attempt it, anyway, not out in the open. All the thugs have an automatic respect for Morphers; they tend to admire them. Not that it’s something to be proud of, having thugs admire you. But it does keep them at bay. Me: Wait – so you’re a Morpher?! Me: Wow! What’s your spirit animal? Me: That’s so cool! Are the rest of your family Morphers too? Raphael: My father is. His spirit animal is a tiger aswell. But my brothers are normal – it’s kind of a good thing. Two of my brothers would cause total chaos if they had this ability! Me: Wow, so you and your dad can both transform into tigers! Are there any other Morphers in London? Raphael: As a matter of fact, I just met one. That girl who was being harassed … I couldn’t believe it when she told me … I’ve never met another Morpher in this city before. Me: What a coincidence! What’s her spirit animal? Me: Cool. 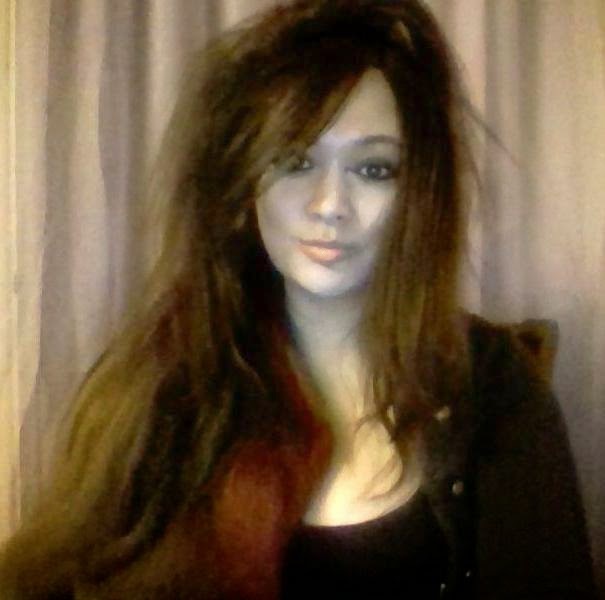 Do you think you’ll see her again? Raphael: *smiles* I’d like to. She doesn’t seem to feel the same way though; couldn’t wait to get rid of me. Still, I’m going to enjoy trying to convince her otherwise – we tigers love the thrill of the chase, you know! Me: Hehehe! So, if I may ask, what do you do with yourself when you’re not fighting the bad guys? Raphael: I work in an art shop. Painting’s a hobby of mine. I also volunteer at a dog’s home in South London – I love animals so it helps keep me sane in this crazy city! Raphael: In my personal opinion, we need to destroy each and every scumbag thug out there. That’s the only way to improve things. Whether this results in all-out war, I don’t know. We just have to wait and see. Me: I see. OK, Raphael, one last thing. Do you have a girlfriend? Me: I’m shocked to hear that! Raphael: Haha, thanks for the compliment! But yeah … I guess I just haven’t found the right girl for me yet. Me: I’m sure she’ll come along when you least suspect! Raphael: Hehe, maybe. Given my track record with unpredictability, she’s probably lurking right round the corner. Me: Yep, maybe! Alright, Raphael, thanks so much for speaking with me. It was a real honour! Raphael: You’re welcome. It was a pleasure to speak to you. Me: Thank you – and best of luck with everything! Raphael: You too, Sarah. Take care. So that was Raphael Renzo. He seems like a genuinely decent guy and it looks like he’s really passionate about bringing down the tyrannical Pearson regime. I wonder if he did see that girl again, the other Morpher. Still, maybe I’ll bump into him again. I’m going to be in this city quite a while. It really is a fascinating place now. Fascinating – but dangerous. I have a feeling things are going to kick off some time soon … Who knows, I might even write a book about it when I get back! Set against the backdrop of a dystopian London where thugs and criminals run rife, Skye Archer possesses a rare gift, the ability to transform into her spirit animal at will. Widely regarding her morphing ability as a curse, Skye's aim is to keep it a secret at all costs. But one day she meets the intriguing and affluent, Raphael Renzo, who soon proves to have a secret of his own, one that could heal the downtrodden city and affect Skye in ways she never thought possible . . . This debut novel from Sarah Brownlee is a compelling and gripping read, taking the reader into a world where both the heart of a city and the heart of a girl are simultaneously pierced by one man.